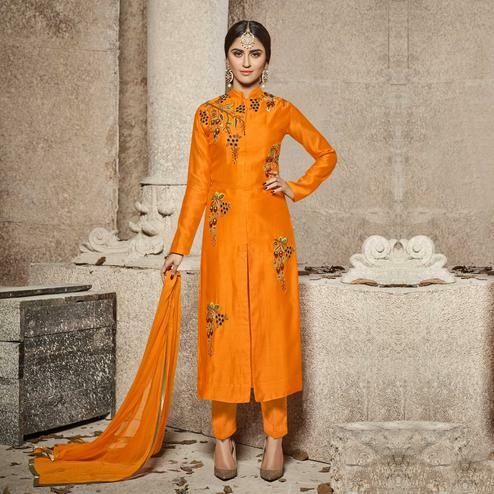 Wear this orange suit and earn lots of compliments from onlookers. 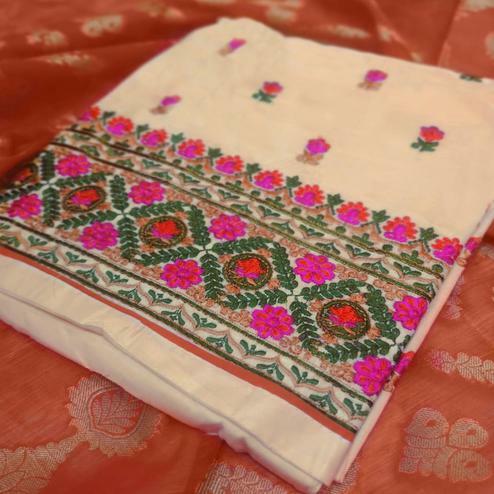 This semi stitched outfit is fabricated on georgette fabric and prettified with embroidery work in floral pattern done on yoke, hemline and overall sleeves. 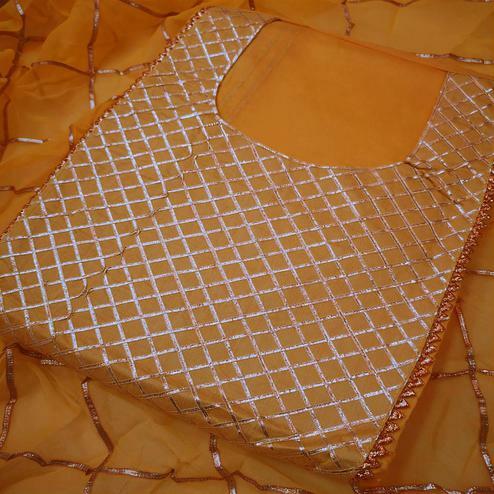 Available with matching color santoon bottom, santoon lining and chiffon dupatta. Match it with ethnic accessories to make your look more impressive and outstanding. Suitable for evening functions and family parties.